The new world number one, Karolina Pliskova heads up this year’s Rogers Cup draw and should be well refreshed having left Wimbledon surprisingly early following a second round loss to Magdalena Rybarikova at SW19. Pliskova has been supremely consistent this year and clutch in the key moments – despite winning three titles and breaking new ground at two of the three Slams, she has yet to have that big win at a Slam or Premier Mandatory tournament. Pliskova’s first match of the tournament will be against either Anastasia Pavlyuchenkova and Alizé Cornet. Based on previous match-ups, it is a fair opener for the world number one – Pliskova has never dropped more than four games in ten previous sets against Pavs, while she resoundingly beat Cornet in the first week of the 2017 season in the Brisbane final, 6-0 6-3. Pliskova is seeded to meet Anastasija Sevastova in the third round, a player she has a losing head-to-head record against. Sevastova has had a sprinkling of disappointing one-sided losses but on the whole, has had an excellent year. Sevastova takes on Lauren Davis in the first round who has lost her last three matches on tour. A 17th encounter between Caroline Wozniacki and Agnieszka Radwanska could be on the cards if both make it to the third round. If they were to meet, this would be the first time since 2015 that Wozniacki would be the higher ranked player of the two. Wozniacki will play a qualifier in the second round. Radwanska, who is playing her first tournament as a married woman, faces CoCo Vandeweghe in the first round. Famously, this has been a good match-up for Radwanska who leads the head-to-head, 4-1. 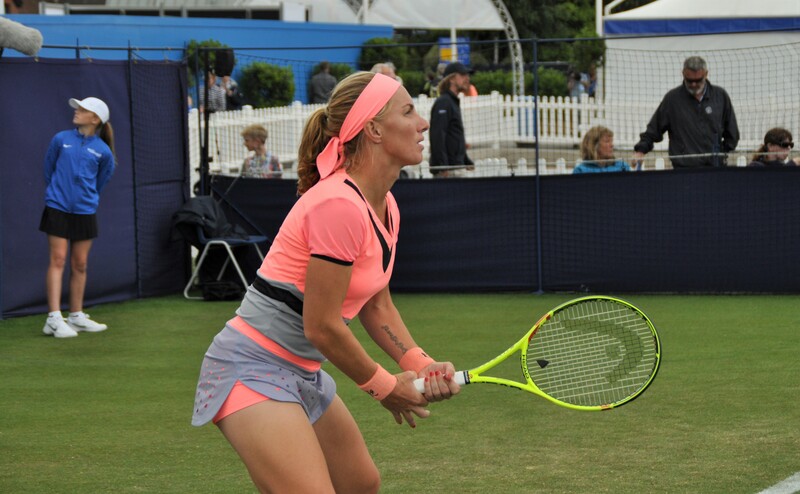 While the medium paced courts will likely favour Radwanska, Vandeweghe has looked in fine form on the hard courts of Stanford and is generally playing with more clarity and focus with Pat Cash in tow. The winner of Radwanska-Vandeweghe plays Timea Babos or Bianca Andreescu in the second round. Babos is currently enduring a nine match losing streak. There were some positive signs in her first round loss to Caroline Wozniacki at Wimbledon where she had the Dane on the ropes for a time before she tailed off rather spectacularly after a series of bad misses. Andreescu may fancy her chances of another sizeable win after an excellent week in Washington where she scored her first ever WTA main draw wins over Camila Giorgi and Kristina Mladenovic. For the first time this year, Angelique Kerber isn’t at the top of the drawsheet and I think that will work in her favour with attention beginning to shift away from her. Kerber arrives in Toronto following arguably her most encouraging match of the year, a tight three set loss in the 4th round of Wimbledon to the eventual champion, Garbiñe Muguruza. Kerber defended well, but most impressively, had the confidence to go after her shots and seek the forehand down-the-line, which hasn’t been there for much of the year. Draw-wise, I wouldn’t say that Kerber was one of the winners! The world number three gets Eugenie Bouchard or a qualifier in the second round. Bouchard has a clear edge in their head-to-head, winning four of their six previous encounters, and dominated their last match in Madrid, leading 6-4 5-0. Kerber was forced to retire hurt late on in the match with a leg injury. This is a FUN section of the draw with Kerber’s projected third round opponent coming from a dazzling quartet that includes Yulia Putintseva, Sloane Stephens, Carla Suárez Navarro and Petra Kvitova. Poots hasn’t played since a first round loss to Wimbledon so there is a decent opportunity for Stephens to bag her first singles win of the year. The American has been building up match play in D.C. where she reached the doubles final with Eugenie Bouchard. Kvitova and Suárez Navarro haven’t played since Rome in 2015 with the Spaniard winning their last four encounters, two from a set down. Kvitova made a stunning start in Stanford, yet never looked comfortable in a 2-6 0-6 loss to CiCi Bellis in the quarter-finals. I keep having to pinch myself that Kvitova is playing competitive tennis again. Johanna Konta returns to action for the first time since reaching the semi-finals of Wimbledon. She will need to make a fast start as she faces a very challenging first match against either Peng Shuai or Ekaterina Makarova – Peng won her second WTA tournament in Nanchang two weeks ago, while Makarova is in the final of Washington and has five top ten wins in 2017 alone (not including a retirement win over Simona Halep in D.C.). Cibulkova is the other seed in this section and will be seeking to rediscover her form on hard courts following a rough first six months of 2017. She hasn’t won three matches at the same tournament all year and has failed to reach a quarter-final since February. Cibulkova plays Lesia Tsurenko in the first round, which could be followed by a fourth match in the last year against Lucie Safarova (who plays home favourite, Francoise Abanda in the first round). The last time that Cibulkova and Safarova played each other was in Birmingham when they played out one of the most entertaining matches of the year so far. Playing for the first time since Wimbledon, Elina Svitolina and Venus Williams, headline the fifth quarter and are on collision course for a third round meeting. If it were to happen, it would be just a second career match-up. Venus won on clay in Rome two years ago, 6-4 6-3. Svitolina will face some variety in her first match against either Daria Kasatkina or Roberta Vinci. I wonder what state of mind Vinci will be in after she revealed that she had possessions stolen in a robbery at her home. 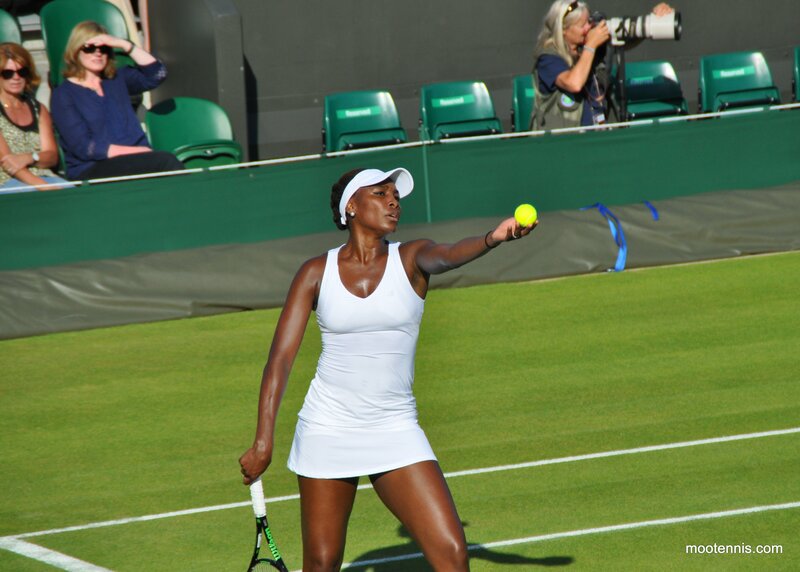 Venus’s first competitive match since the Wimbledon final will be against a qualifier, and potentially followed by the Bastad champion, Katerina Siniakova in the second round. Garbiñe Muguruza will arrive in Toronto after a semi-final showing in Stanford. I questioned whether Muguruza could translate her Wimbledon form onto the WTA tour circuit and the early signs have been promising with two high-quality displays at the Bank of the West Classic. Muguruza’s first match could be a Stanford quarter-final rematch against Ana Konjuh. Muguruza won that match, 6-1 6-3, and was rewarded for her superior consistency with Konjuh throwing in too many loose errors. Muguruza is seeded to meet Elena Vesnina in the third round. Vesnina faces a 50-50 opener against Alison Riske – the American player leads their head-to-head, 2-1, and won their most recent match in qualifying for Rome last year. Svetlana Kuznetsova will play Julia Goerges or CiCi Bellis in her first match in Toronto. Goerges vs. Bellis is one of the highlights from the first round and will be a rematch from Mallorca where Goerges won so convincingly, 6-1 6-1. The pair were due to meet the following week but both both pulled out of Eastbourne through injury. Both are in great form and contested semi-finals in Saturday. Goerges will be playing the D.C. final late on Sunday. This is a legit section with Jelena Ostapenko and Caroline Garcia both opening against qualifiers and potentially meeting in the second round. Both players reached the quarter-finals of the French Open and Wimbledon with Ostapenko going all the way at Roland Garros to win her first Slam. I’m not sure it will ever sink in! Ostapenko’s two losses since that first Slam win were to Konta and V.Williams, and her reaction back on court has been one of the most positive since recent first time Slam champs. Simona Halep bookends the draw and will face a big hitter in the second round – Madison Keys or Mirjana Lucic-Baroni who will play each other in a helmets-at-the-ready first round clash. Despite their similarly big games, Halep’s record against both are at either ends of the scale. Halep has won her last five previous encounters against Keys including the last three in straights, while Lucic-Baroni has proven to be her Slam nemesis, securing two huge wins at the US Open in 2014 and the French Open in 2015. Halep began her hard court campaign in D.C. last week where she struggled with the heat and eventually retired in the third set of her quarter-final match against Makarova. In another cracking first rounder, the number 13 seed, Kristina Mladenovic gets Barbora Strycova. Mladenovic wasn’t at the races in Washington, perhaps injury affected, as she lost in the second round to Andreescu. Strycova will be playing her first tournament since a second round exit at Wimbledon. The winner will get Daria Gavrilova or a qualifier in the second round. A Bara-Dasha match-up excites me since they are both lively characters and they’ve never played each other before. As the first tournament back for many players, it’s a bit of lucky dip trying to pick out finalists. I like Wozniacki and Konta in the top half as both were great on hard courts through the first three months. Konta normally takes a bit of time to get going after a break and I think Peng/Makarova in R2 could be a tough obstacle. Wozniacki was injured in Bastad, but will have had a week to prepare. In the bottom half, I think the potential R3 match between Svitolina and V.Williams could be a big one. I’m not so high on Muguruza or Mladenovic here, while if Halep can make it past a potentially tough opener in Lucic-Baroni or Keys, I think she has a fair draw going forward. Who do you think will win Toronto? Have your say in the tournament poll below and as always, comments are appreciated! August 6, 2017 in Toronto, Tournament Preview, WTA. Tough draw for Svitolina who doesn’t have a particularly good record here. I think she’ll be eyeing Cincinatti and using this as a tournament to adjust back to hard courts. Three hour time difference between Stanford on the west coast and Washington on the east coast and both WTA finals start at the same time, nice coordination. The qualifying field for the Rogers Cup looks like the field for an International tournament. KooKoo Van hasn’t gone nutso-freeko recently. Apparently, KooKoo has hired a mental coach whose job is to insert mental where no mental existed before. It’s like this every year, I don’t know why they have to have the finals at the same time. Too late for me anyway so i’ll probably only get to see a set. I expect a lot of surprises in the first and second rounds. The predictions here will be a complete mess again. Kasatkina made a tweener passing shot against Vinci. Shot of the day. I just read on Twitter, i’m waiting for the video! Just saw it… that was special! Loved Roberta’s reaction. Ostapenko down 0-3 in the third was crying during the OCC. Ostapenko, my pick to win the Roger’s Cup, up 6-1, 3-0 loses to the consistent qualifier Lepchenko. The Lep beat Rybarikova ranked #33 to get into the main draw. The Ost, after the little cry, came back from 0-3 to get into a tie break, but too many wild shots did her in. Ostapenko’s Spanish coach kept telling her to hit with more top spin, but she kept driving flat hard shots into the top of the net. It’s apparently very difficult to get The Ost to switch to plan B, when plan A isn’t working. Oh dear, Ziggy! Who is your pick now?! Watched the match too, kind of felt like Ostapenko’s nerve was going to hold out at the end after she got back to 5-5. The serve, which let her down in set 2, was shaky again in the 3rd set TB. A good win for Lepchenko.